See the online appendixes referenced in the book. How is it that the United States—a country founded on a distrust of standing armies and strong centralized power—came to have the most powerful military in history? Long after World War II and the end of the Cold War, in times of rising national debt and reduced need for high levels of military readiness, why does Congress still continue to support massive defense budgets? 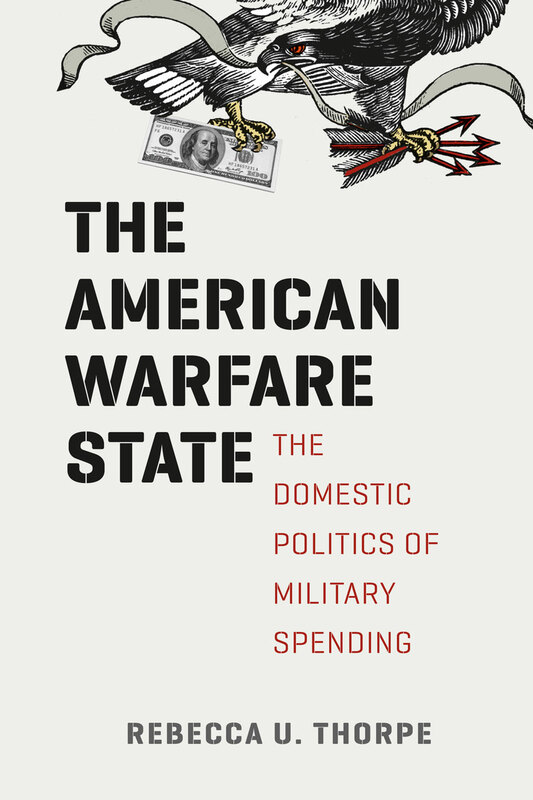 In The American Warfare State, Rebecca U. Thorpe argues that there are profound relationships among the size and persistence of the American military complex, the growth in presidential power to launch military actions, and the decline of congressional willingness to check this power. The public costs of military mobilization and war, including the need for conscription and higher tax rates, served as political constraints on warfare for most of American history. But the vast defense industry that emerged from World War II also created new political interests that the framers of the Constitution did not anticipate. Many rural and semirural areas became economically reliant on defense-sector jobs and capital, which gave the legislators representing them powerful incentives to press for ongoing defense spending regardless of national security circumstances or goals. At the same time, the costs of war are now borne overwhelmingly by a minority of soldiers who volunteer to fight, future generations of taxpayers, and foreign populations in whose lands wars often take place. Drawing on an impressive cache of data, Thorpe reveals how this new incentive structure has profoundly reshaped the balance of wartime powers between Congress and the president, resulting in a defense industry perennially poised for war and an executive branch that enjoys unprecedented discretion to take military action. "When President Eisenhower first warned of the dangers posed by the warfare state, too few Americans paid attention. Now, in this carefully argued and entirely persuasive monograph, Rebecca U. Thorpe explains how that state operates and why it persists. In updating Ike’s warning, she performs a great service. Perhaps this time we’ll heed it." "The American Warfare State does exactly what a groundbreaking book should do: It provides new evidence and analysis in a cogent argument, and leaves readers mulling new questions, provoked by its findings, about larger implications and future research agendas in American politics."